SNIPEF is the Scottish and Northern Ireland Plumbing Employers' Federation. They are the principal trade association representing the interests of plumbing and heating businesses based in Scotland and Northern Ireland. They aim to ensure the highest standards across the plumbing and heating industry in Scotland and Northern Ireland and assist their members in employing qualified, professional and highly skilled staff. Being a SNIPEF Member is entirely voluntary. There is no legislation governing the plumbing industry, which proves that SNIPEF members take pride in their qualifications, professionalism and quality of work and are happy to abide by the rules of membership. Must employ properly qualified operatives so you know that work is being carried out to the highest standards. Maintain public liability insurance of at least £2million so if anything does go wrong, the company are fully insured to take care of it. Must undergo regular technical inspections to ensure work is carried out properly and competently so you know that high standard are maintained. Work undertaken by a SNIPEF Member in domestic properties is covered by a warranty scheme, providing customers with peace of mind as well as practical and financial assistance in the event of a problem. Using a SNIPEF Member gives you a piece of mind guarantee that have chosen a fully qualified and appropriately trained contractor for your plumbing and hearing work. 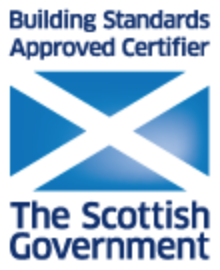 SNIPEF Licenced Members are the only plumbers that are approved and recommended by Scottish Water and Northern Ireland Water through the WaterSafe scheme.